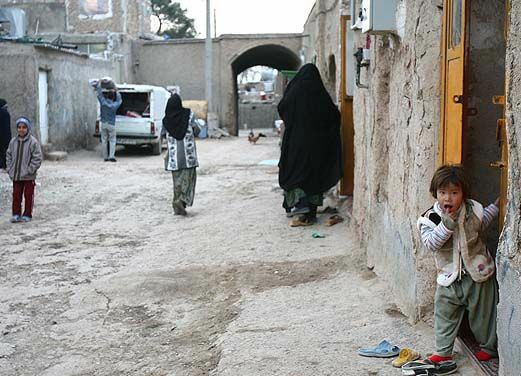 It is difficult to know how many people in Iran are living in poverty. As of January 2016, the World Bank has not listed this information. The CIA World Factbook last estimated in 2007 that 18.7 percent of Iran’s population lived below the poverty line; however, that information is nine years old. Thanks to social media we know two grassroots campaigns, Payane Kartonkhabi and “walls of kindness,” are trying to make life easier for impoverished Iranians. Ali Heidari, an advertising manager in Tehran, told The Guardian about the tragedy he saw when he delivered meals to the homeless living in Harandi, a neighborhood in south Tehran, with his wife and son in May 2015. Heidari simply asked friends and neighbors to donate meals for him to deliver, which grew into the formation of Payane Kartonkhabi, which means ending homelessness. The group still delivers meals, but as of October 2015, they began installing refrigerators to make nutritious food more easily accessible. Payane Kartonkhabi took to social media using Facebook, Instagram and Telegram to spread awareness. The group is committed to ending homelessness, providing training workshops to help people find jobs and continuing their efforts to send recovering addicts to private treatment centers and covers the cost according to the Guardian. The first “wall of kindness” appeared in the north-eastern city of Mashhad with the saying, “If you don’t need it, leave it. If you need it, take it,” according to BBC News. The man who created the “wall of kindness” in Mashhad wants to remain anonymous according to Hamshahri, a local Iranian newspaper. He told Hamshahri he was inspired by similar acts of kindness throughout the world and in Iran, like Payane Kartonkhabi’s refrigerator installations. The creator of Mashhad’s wall of kindness has asked people on social media to continue giving, according to Hamshahri. “I’ve told them to bring clothes in small quantities so that those who come here know that clothes are always available,” the man told Hamshahri. At least three more “walls of kindness” have sprung up across Iran since December according to Radio Free Europe. Grassroots campaigns like these, with social media bringing people together, are helping to meet the immediate needs of the impoverished and homeless around the world. Socioeconomic conditions in Iran, and Tehran in particular, are declining at a rapid rate. 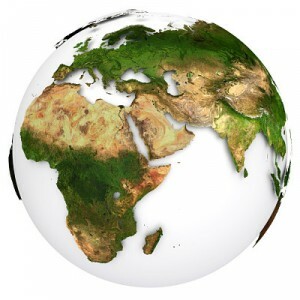 The country is home to high unemployment rates, dire poverty, rising inflation, and an unsustainably low minimum wage. Tehran teems with street vendors—many of whom are children—who engage in their dangerous work out of sheer desperation. Meanwhile, the nation’s superrich continue to grow wealthier. The result is an ever-widening gap between Tehran’s rich and poor. Nearly 40 years after the Iranian revolution, the nation’s leaders have yet to ensure equal distribution of wealth and opportunity to its citizens. Iran is currently home to seven million people living in absolute poverty, struggling to find enough food to eat each day. Meanwhile, there are also five million people living in Iran who are tremendously wealthy, with Labor Minister Ali Rabiee deeming their financial statuses comparable to those of the wealthiest Americans. Nearly all of Iran’s national government officials are multimillionaires—a fact that the nation’s working class has protested over the years—and the country gains a considerable amount of wealth from its lucrative oil exports. More detailed figures describing poverty data in Iran remain hard to come by, as news sources have criticized the government for withholding such information. This tendency to shy away from revealing relevant statistics is in no way a new trend; when former president Mahmoud Ahmadinejad was in office, the government similarly refused to comply with the United Nations’ requests for official data reflecting poverty levels in Iran. This remained the case despite the passage of Iran’s Fourth Development Plan, which required the Welfare Ministry to make such information accessible. Since taking over the presidency in 2013, President Rouhani has implemented several measures intended to address the nation’s growing poverty problems. Some of these measures have proven successful in helping to curb rising inflation levels and bringing a timely end to two full years of negative growth. However, it remains to be seen whether the president will be able to address the issue as fully as it demands; critics point out that the largest parts of Iran’s economy are heavily controlled by the government or semi-private bodies that remain intricately linked with the nation’s power players. Officials believe that unemployment will only grow in the years to come, as approximately four million new college graduates leave their universities and struggle to find employment, joining the four million people in Iran who are currently in need of jobs. In the last fiscal year, nearly one quarter of all households in the nation were entirely unemployed. In Tehran, many of the poorest city-dwellers turn to establishing informal businesses on the streets as a means of survival. It is common to see such vendors setting up makeshift “shops” on sidewalks or simply carrying their goods for sale throughout the city, peddling items like balloons, hair ties and socks to passersby. These street peddlers face instability and even danger in the face of constantly changing city ordinances and brutal security officials who try to extort them for protection money. Some peddlers, when confronted by rogue officials, are forced to regularly pay them in order to avoid harassment. If they refuse, the officers simply take all of the sellers’ earnings. The situational poverty in Tehran goes beyond an economic problem to a human rights issue.